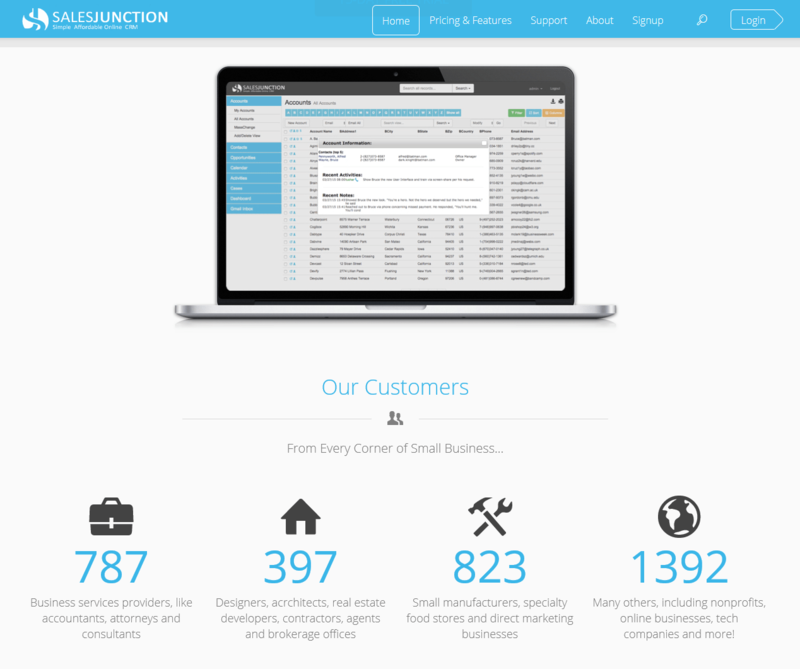 SalesJunction is a sales automation software and CRM tool designed for small business and very affordable priced. Without annual contracts, offering unlimited storage, free monthly emails and phone support service, this platform aims to fulfill all the primary needs of start-up, small and midsized companies. SalesJunction is a great choice for beginners too because it doesn’t require any on-hand installations and it’s quite easy to use, also if there is a learning curve. This tool has a remarkably simple dashboard that you can customize to manage better relevant items such as reports, calendars or other activities and configure them to your and your team needs. Furthermore with the user control feature, administrators can manage the enterprise settings, account payments, subscription management and backups through the self-service customer setup. SalesJunction is an effective cost solution that organizes contacts and implements workflows, provides sales automation tools – to increase the effectiveness of CRM and sales process – , modifiable email templates and a scheduler for sending reports to a selected group at a pre-defined frequency, ensuring sales team members are kept up-to-date with daily progress. You also get plenty of storage space in which you can keep unlimited documents, send lots of emails directly from the system, create drip-marketing programs, and so on. Also, you can import data from remote systems and utilize SalesJunction’s data migration assistance for additional importing or exporting help. In conclusion, we can say SalesJunction is a stable CMR platform, offering all the features of big players such as Salesforce for a very affordable price. SalesJunction is a very cost effective way to help growning businesses. It allows you to efficiently manage CRM work, offers unlimited storage, free monthly emails and phone support service: a top-notch choice for small business and startup too.